"Room was clean with comfy bed." Have a question for Sokha Phnom Penh Residence? "looks the hotel is design for tourist." 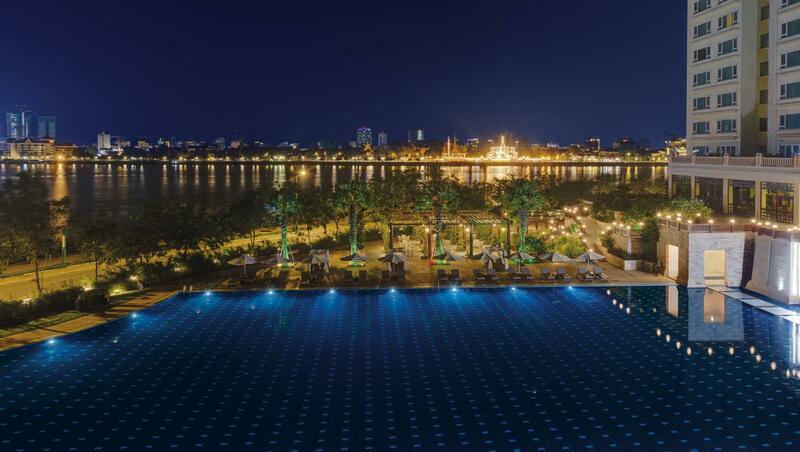 "The hotel was huge, the pool was amazing as it had kids pool..."
When visiting Phnom Penh, you'll feel right at home at Sokha Phnom Penh Residence, which offers quality accommodation and great service. With its location just 6.2 km from the city center and 21.2 km from the airport, this 5-star hotel attracts numerous travelers each year. With its convenient location, the hotel offers easy access to the city's must-see destinations. 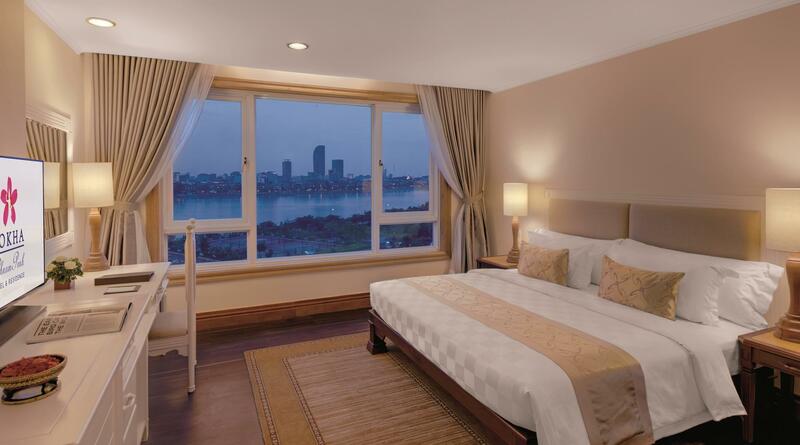 Take advantage of a wealth of unrivaled services and amenities at this Phnom Penh hotel. The hotel offers access to a vast array of services, including 24-hour room service, free Wi-Fi in all rooms, 24-hour security, gift/souvenir shop, taxi service. Step into one of 195 inviting rooms and escape the stresses of the day with a wide range of amenities such as television LCD/plasma screen, bathroom phone, clothes rack, mirror, scale which can be found in some rooms. The hotel offers an excellent variety of recreational facilities, including hot tub, fitness center, sauna, spa, massage. 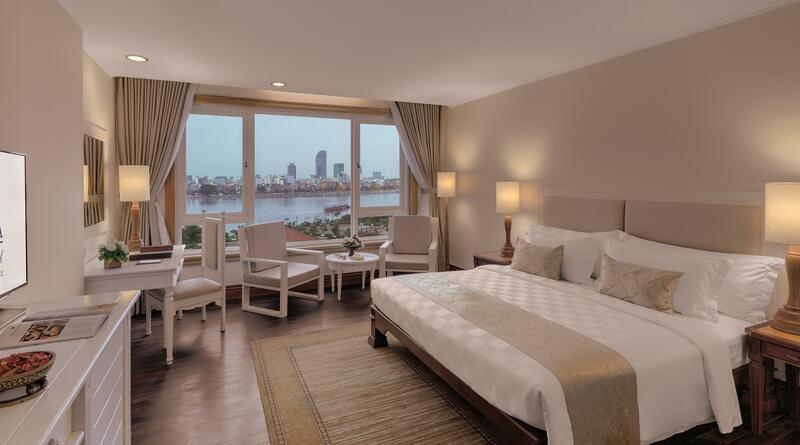 Enjoy unparalleled services and a truly prestigious address at the Sokha Phnom Penh Residence. "GREAT HOTEL GREAT HOTEL GREAT HOTEL GREAT HOTEL"
Their staff is very helpful and friendly. Infact, for Muslim family, the need for the kitchen is very necessary. Eventho, AGODA and the hotel may have diff agreement , but their staff really helps me to get what i want. Overall, the place is suitable for family with mix age but it just bit far from the town. However, you can get TUKTUK nearby or taking the ferry to cross the river . KUDOS for the great hospitality! Good room and faciliy. But looks the hotel is design for tourist. My family and spent a night at this property. The hotel and residences are part of a very big property. The rooms in the residences are not as well furnished as the photos make them look. There was one two-seater couch in the living area and that was all. The rooms were extremely dusty and probably due to the low numbers of patrons are not regularly cleaned. The staff did not speak English very well and at check in and in the restaurant seems flustered and confused by what they should be doing. The pool looks lovely but once in, we realised how dirty the water was. Disappointing property that we would not be recommending. The hotel was huge, the pool was amazing as it had kids pool, beautiful tile work, and was the biggest pool I've ever seen. Very family friendly. Great breakfast! Great facilities and friendly staff, but quite expensive compared to competition and very few customers, which gave a bit of an eery feel in the large hotel. Room was clean with comfy bed. Good food. service was excellent and friendly. Enjoyed our stay. Staff are friendly n helpful, service are pretty good n helpful,room is big enough to cover my 5 member of family, included the kitchen accessories n best of stay. Will come back again. It is a big hotel with a really nice big pool. Gym is superb. Food in their restaurants is expensive but then it is top quality. It is situated a bit outside Phnom Penh. But if you go with the free shuttle bus it only takes 15 minutes to central riverside. Staff was so friendly and were so nice to my son. Been there 2 times and stayed 2 weeks each time. I will stay there again!